Gary Lemmer began guiding for O.A.R.S. in California in 1981 on the Stanislaus River. He worked on numerous rivers in California and Oregon as well as the Colorado River (Grand Canyon). 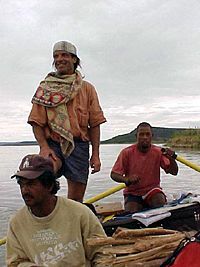 In 1982 Gary began working for Sobek Expeditions guiding and leading trips in Africa, Alaska, Canada, and Chile. He first ran the Zambezi in 1982, the Omo in 1983, the Rufiji in 1984, and rivers in Madagascar in 1985. An avid bird and wildlife enthusiast, his love of the wilderness is infectious. Along with his extensive experience, he�s also a musician and a certified Emergency Medical Technician. 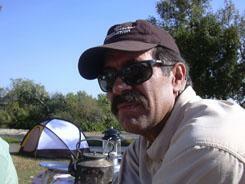 Gary�s love for rivers led him to become an activist in defense of free flowing rivers. He has extensive involvement with domestic and international river conservation efforts as well as handicap adventure travel. At first volunteering time with Friends of the River (FOR) and Environmental Travel Companions (ETC), he later went on to found of the Bio Bio Action Committee in defense of Chile�s Bio Bio River. Remote River Expeditions - Madagascar in now based in Morondava at the Chez Maggie Hotel & Restaurant. Along with guiding some programs Gary and his wife Baholy also own and manage the Chez Maggie. 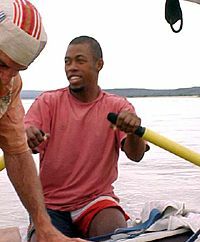 Ialy John 'Ludo' - Lead guide for Remote River Expeditions - Madagascar. With 13+ years of experience and extensive knowledge in all aspects of Madagascar Ludo is truly: A Guide for All Season! Full bio, photos and testimonials may be found here. 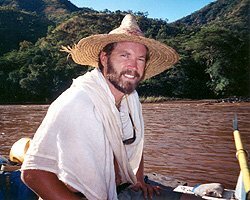 Pasquale Scaturro of Denver, Colorado, joins the Remote River Expeditions team for our Ethiopia programs including the Omo, Tekeze and Blue Nile rivers. A great travelling companion with extensive guiding experience around the globe. A world-class river and climbing guide whose expeditions including two successful ascents of Mount Everest. Brian Stevenson guides tours in Ethiopia with Remote River Expedition and Mountain Travel/Sobek. Brian has been leading and guiding professional river trips for almost 20 years. In addition to many rivers in the western United States, Brian has logged numerous river miles in Alaska, Canada, Chile, Costa Rica, Ecuador, and Turkey. He also teaches guide training and rescue courses. He's an experienced sea kayaker and photographer as well, and his degree in geography aids him in providing unusual insight into the places he guides. Mr. Magigi worked as a game scout in Tanzania�s Selous Game Reserve and has been accompanying RRE expeditions on the Rufiji River for over 15 years. His vast knowledge of the reserve and the Rufiji, not to mention his enjoyable nature, make him an irreplaceable asset to our Rufiji River safaris. 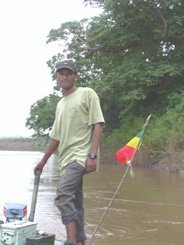 Zelelem has 10 + years experience on the Omo River, and throughout Ethiopia. With a deep love and knowledge of his home country, Zelelem, a wildlife and bird expert guides on the Omo and other rivers in Ethiopia. Eddie Dowd began guiding professionally in 1994 on the Cache La Poudre River near Fort Collins, Colorado. Since then he has run rivers throughout the United States along with guiding in Nepal and Ethiopia. Eddie has a deep respect for rivers and loves sharing the wonders of wilderness with his fellow travelers. Eddie also has Wilderness First Responder certification and Swiftwater Rescue training. As well as guiding, Eddie is the US marketing manager for Remote River Expeditions. Robel Petros is an outstanding Ethiopian guide specializing in the cultures of the lower Omo region. He is training as a river guide and will soon be guiding boats on the rivers of his home country. 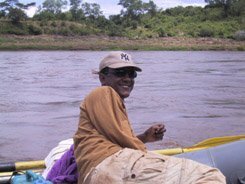 Friendly, personable and knowledgeable Robel is a welcome addition to the Remote River Expeditions team.